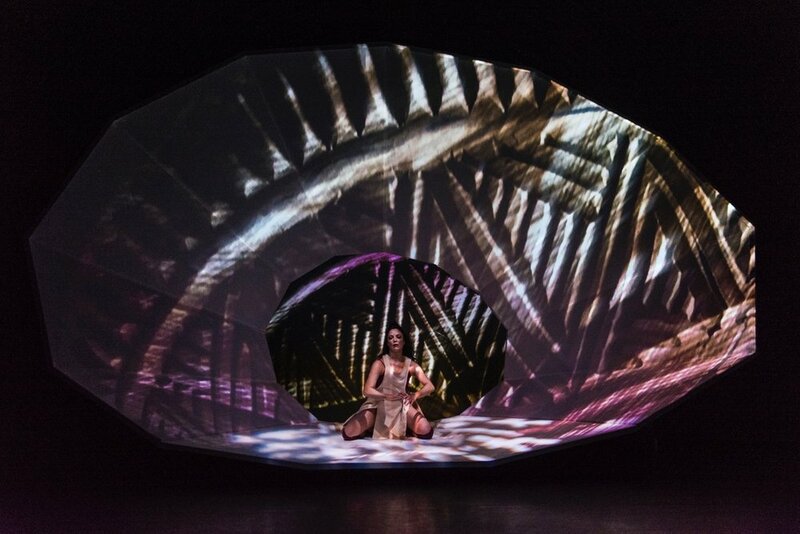 Blood Tides is the 2nd production in a triptych series (Re-Quickening, Blood Tides, Skennen) about the re-matriation to the house of humanity: the womb. 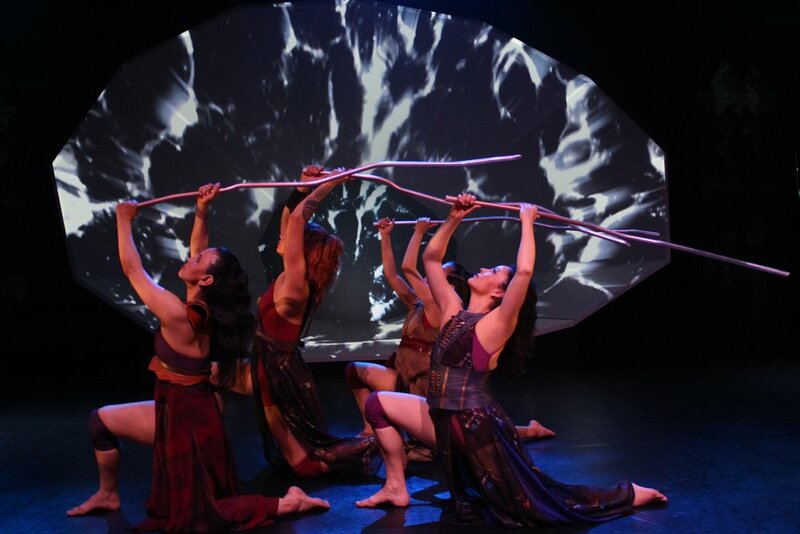 Created and performed through a ceremonial process, scenes such as The Thresholders, Awakening, Lightning Woman, First Waters, Emergence, First Moon, Renewal, Re-sculpting, Weaving the Strands and Sacred Seed reaffirms the power of a women’s reproductive body and her role as the portal between worlds, the thresholder of life and death. Blood Tides, World Premiere was presented by FirstON Performing Arts Centre, Robinson Hall, May 3-5, 2018. "When we bleed we retreat into ceremony, coming into union with our matrilineal lines. Our blood assures the continuation of our Tribal Nations. Our blood is a ritual of purification and renewal. Through the blood we shed the trauma of our colonial histories and activate our ancient relationships with female deities of the earth, water, winds, fire and sky. We call them all in through Blood Tides, waking the sacred teachings that will feed our spirits and return us to wholeness. Women are the cradle of the generations, the temple of humanity, the first territory. When we heal and empower ourselves we liberate the people"
Blood Tides is an inter-generational, inter-cultural, and interdisciplinary performance, exploring Indigenous rites of passage, resurgent actions and practices such as warrior dances, weaponry, reconstruction of Indigenous feminine identity from ceremonial language and retrieves the missing voices and sleeping practices of Indigenous women. Artistic and cultural exchange is between Turtle Island (Six Nations), Aotearoa and Mexico, featuring Nations: Kahnyen’kehàka (Mohawk), Fijian, Māori, Zapoteca, Guna, Rappahannock, Omushkego Cree, Metis (Cree), Tuscarora, Taino, Kickapoo and among other non-Indigenous collaborators.